We will be happy to arrange your transfer from Istanbul Airport and Sabiha Gökçen Airport to our hotel. Payment: Please be sure that you should pay airport transfer cost by cash to our desk staff upon arrival. We dont accept credit card payment for this service! Confirmation: A word of advice:- there were a lot of transfer agents meeting with arriving travelers at the airport & so as well as us searching for our agent, the agents could see us & helped us to find the correct one. After arriving to the airport, the only thing you should do in order to continue your trip in Istanbul, is to meet us! So, upon your arrival and after taking your luggage from the luggage claim area, a member of our staff will be waiting for you at the arrival exit gate, holding a sign with (T34) (Please see our greeting sign as below). 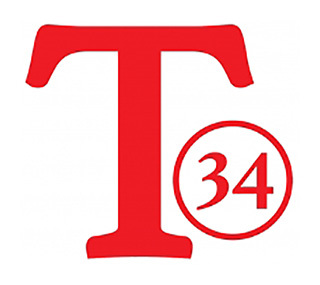 In case you do not recognize our greeting sign, just ask for the name of our company "T34". Below, we provide you a picture of the hall at the arrivals level, so you can understand the path you have to follow in order to meet us. We are sending at all details sure our team will be there, if you can't see placard, you need sure contact hotel by phone. Because Transfer team sure will be there for you.If u can't contact us and if you will be come yourself ,we can't cancel this transfer and will be try charge transfer fee. In case your flight is delayed, you do not have to worry! Information screens at the arrivals area, always display the flights status information, so our member will be always updated. If your luggage are heavy, you dont have to worry about that either! Our representative will help you with that too, so you can relax after your flight! The distance to Taksim is 22.5 km. This is why the total transfer to the Taksim takes around 40-60 minutes. Always according to the traffic. You can pay transfer services fee at the hotel upon arrive our concierge team staff. Reminder: If you wish to book a airport transfer four your departure, we will be happy to help you at the Hotel's desk 7/24 hours. Warning! Due to new regulations by the airport police; a passenger list with the information, Name, Surname, Gender, Nationality, Passport Number", has to be filled in order to arrange the airport transfers. I agree to add EUR 25 to my hotel invoice.